Surprise! It's the Return of MC/LaLD Model of the Month! Remember when we used to do Model Citizen/LaLD Models of the Month? Those were the good old days, weren’t they? Can I borrow eight minutes of your time? ///May...Why are there so many songs about rainbows? BMW M1 Procar, as campaigned in the 1981 24 Hours of Le Mans by Team BMW Zol’Auto. 1:18 scale, by Minichamps. Over the past few years, I’ve culled a nearly 2000-piece 1:64 collection down to just a few hundred special cars. Of those, a few have been deemed “house-worthy,” meaning they get to live on display in my domicile. In honor of LaLD Car Week: Day One, here are a few amusing house reds. 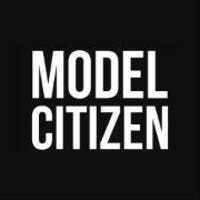 With apologies for the late-month announcement, here it is: the Model Citizen/Live and Let Diecast! Model of the Month for February is TSM’s new 1:43-scale Honda Civic Type R. Nate13 gave us an early look at this model earlier this month, and based on response to his post we thought it would make a good MOTM candidate. Just a quick reminder: Model Citizen’s LaLD Model of the Month, the 1:18 Lexus LC500 by AUTOart, is available at a 10% discount through January 31st. Enter promo code LALD10 to receive your discount. We dropped a few hints last month, so for those who figured it out and have been waiting patiently, here it is: AUTOart’s 1:18-scale Honda Ballade Sports CR-X Si (1985), our LaLD Model of the Month. Just a quick reminder: there’s one week left to grab Model Citizen’s October Model of the Month, the AUTOart 1:18-scale Porsche 908/02 Spyder McQueen/Revson 1970 Sebring edition. Regularly $119, you can get one of our two remaining models for only $101.15 by using promo code LALDOCT at checkout.